The Mariachi director, Mr. Eloy Garza, sincerely thanks Mr. Joel Trigo, VMS Principal, VMS Administration, VMS family, the community, and all the proud parents for their support. Congratulations again to the VMS Mariachi for their hard work, dedication, and pride in representing Veterans Middle School and Rio Grande City in a positive manner. 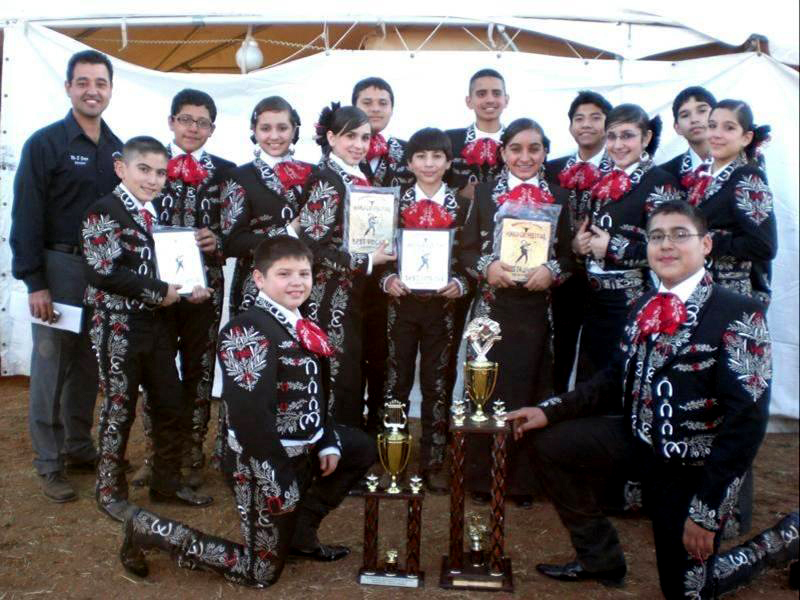 Best of luck to the VMS Mariachi also because they will now be preparing to compete in the upcoming 16th Annual Mariachi Vargas Extravaganza mariachi competition in San Antonio , Texas on December 3rd at the Municipal Auditorium. Best wishes on all of their upcoming events and competitions this coming year. 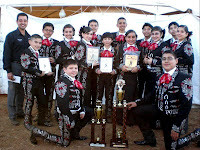 Congratulations VMS Mariachi! Pictured above is (left to right) back row: Mr. Eloy Garza (director), Jose Rodolfo Garcia (guitar), Mario Gutierrez (violin), Brigido Lagunes (violin), and Martin Guerra (violin). Middle Row (left to right): Eli Roy Gonzalez (vihuela), Carolina Cantu (violin), Arlet Villarreal (violin), Juan Martinez (violin), Sasha Guerra (violin), Leslie Saenz (violin), and Leslie Marroquin (violin). Bottom Row (left to right): Ruben Nunez (trumpet), and Emmanuel Pena (trumpet).